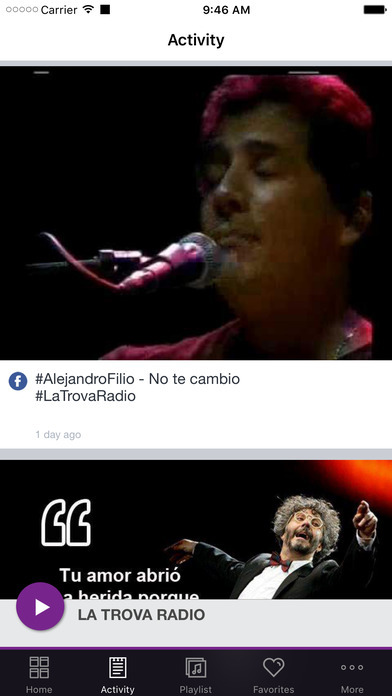 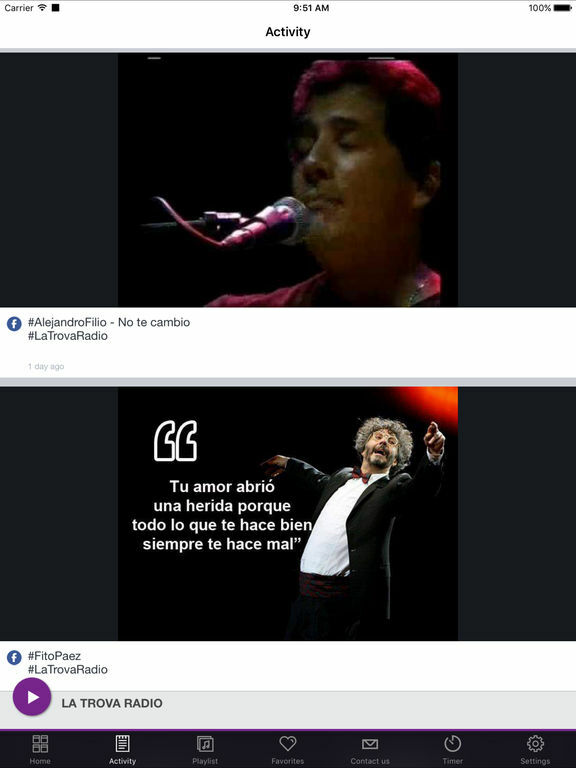 La Trova Radio - Música Latinoamericana actual, sentimiento hecho en canción. 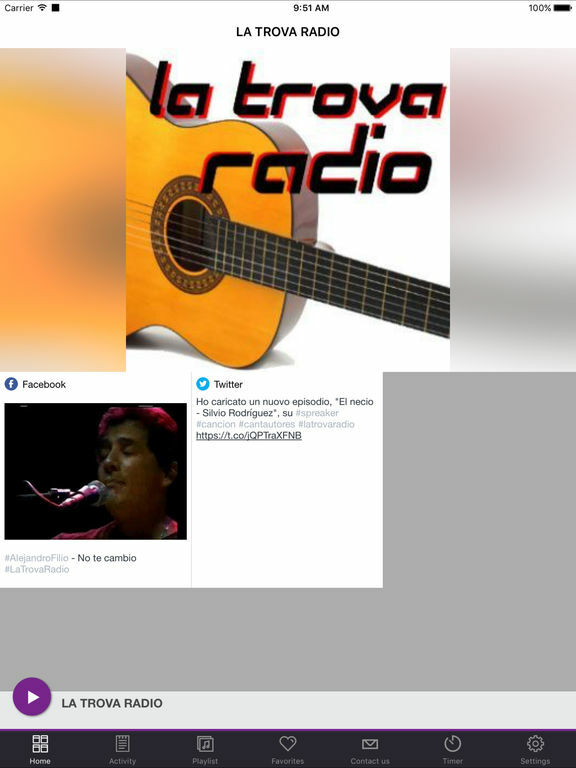 The Trova Radio - Current Latin American music, feeling done in song. 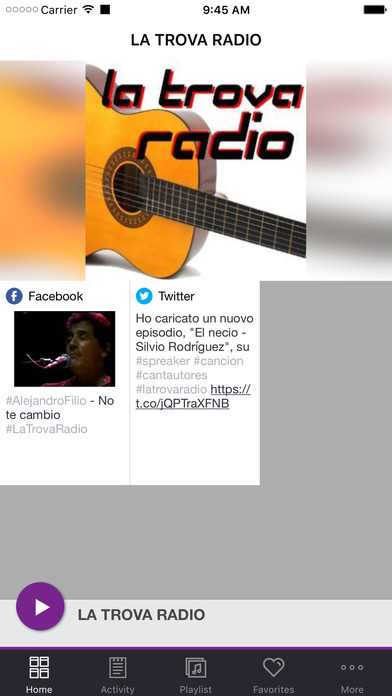 This application is the official, exclusive application for LA TROVA RADIO under an agreement between LA TROVA RADIO and Nobex Technologies.